The Audi TT RS is a notable sports car. 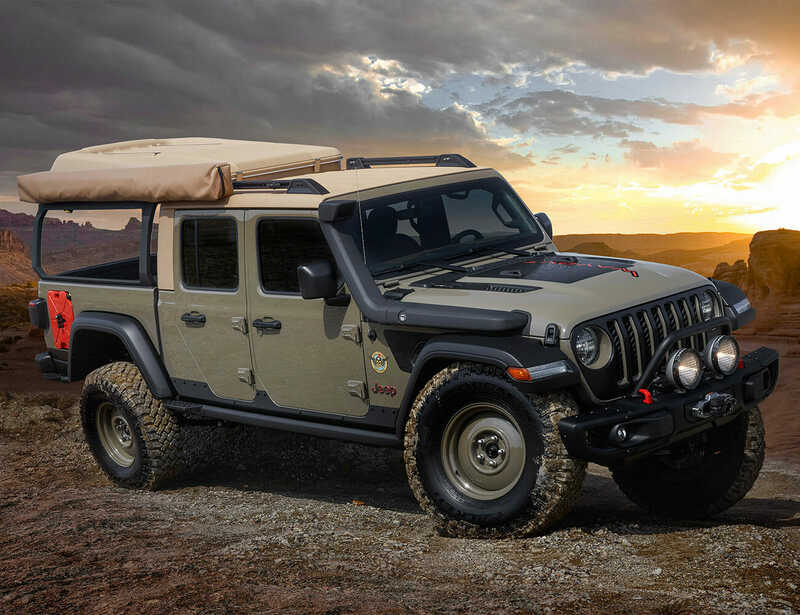 The standard vehicle makes a strong 400 hp from a 2.5-liter turbocharged five-cylinder engine. 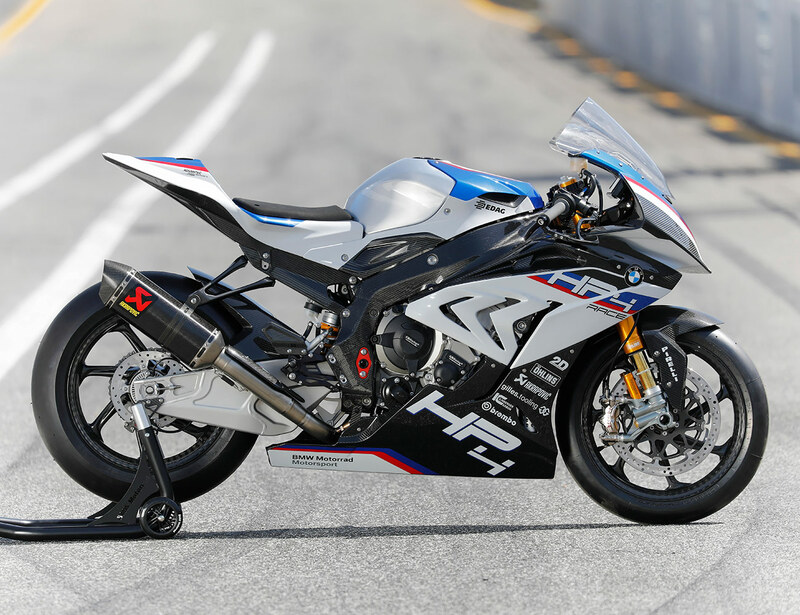 That’s pretty impressive, but it pales in comparison to the TT RS in the video below. That car was fitted with a TTE700 Hybrid Turbo, new fuel injectors, a bigger intercooler, and some new software for the engine. The car now puts out 734 hp to all four wheels. The video below was taken by the YouTube page VeeDubRacing, and shows the car pull a 9.7-second time on the drag strip. According to the video description, the company APR UK built this car. The boss of that company told his team they had three days to turn the regular TT RS into a 9-second car. It’s pretty clear they pulled it off. On the car’s 9.7-second run it hit 144 mph. This run took place at the Santa Pod Raceway in the UK. The car did its sub-10-second runs on some sticky Hoosier tires and appears to have a good day for it. 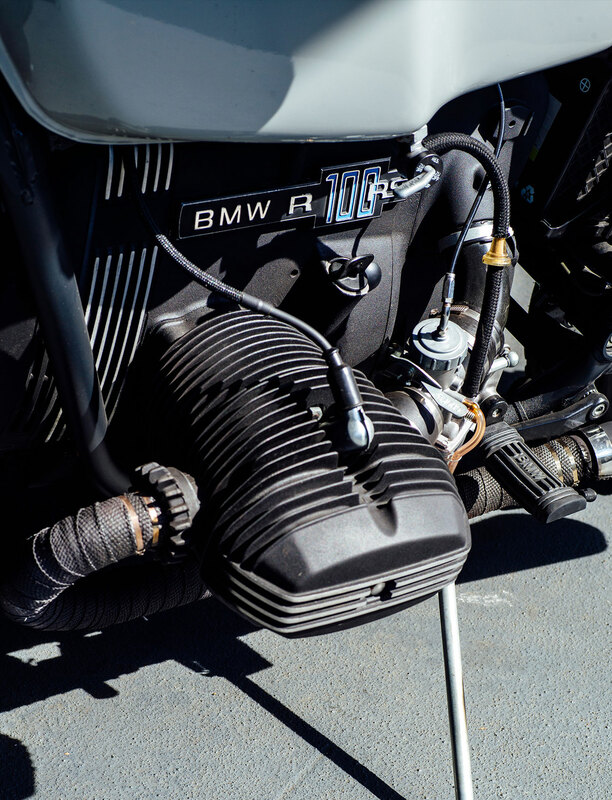 the 2.5-liter five-cylinder engine in the TT RS is known for being an excellent engine and one that you can get impressive power numbers out of with minimal modifications. You can believe it could put out more than 734 hp. It’d be interesting to see just how far this engine and the TT RS, in general, could be pushed. From an investor’s perspective, t can be argued that Elon Musk’s eccentricity lands him in hot-water more often than what is desirable, but there is no denying that it is also what fuels his ambitions and vision for the future of our world (and beyond). Today, Musk announced his latest project at Tesla’s ‘Autonomy Day’ event which took place at the company’s California headquarters. Though this new venture takes place on Earth, it is no less interesting or ambitious of a target than any of his other proclamations. Musk made it very clear to investors at the event, that a Tesla-operated autonomous taxi service will be rolled out in 2020. I have a feeling that as he loves to shake things up in the tech-world, it should come as no surprise that this statement is being made after soon-to-be-rival ridesharing company, Uber, announced that it will become publicly traded in the beginning of May. As opposed to functioning entirely on a fleet of commercially-designated Tesla vehicles, the service being offered will rely heavily on existing Tesla owners with compatible cars to ‘share’ their car on the ‘Tesla Network’, which in theory makes it more akin to ridesharing than a mainstream taxi service. 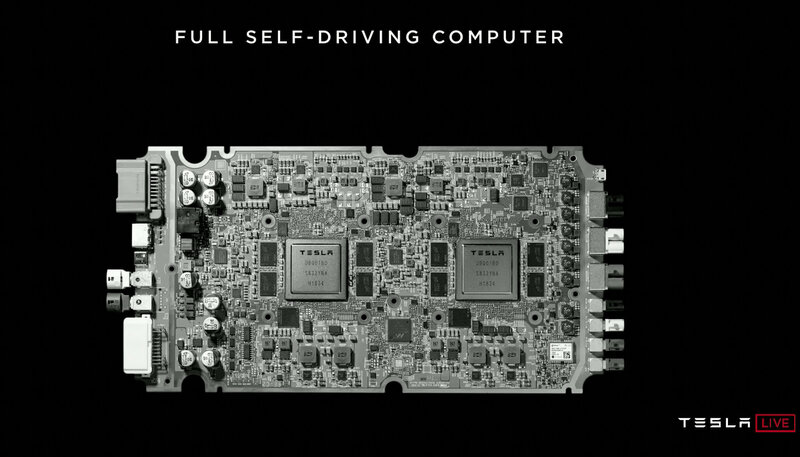 The differentiating factor of course, is that Tesla’s service will be fully autonomous. Musk cleverly made sure to convey that the service was not only appealing to its future users, but also to existing and potential purchasers of his electric cars. He made bold claims, such as stating that owners could earn as much as $30,000 per year lending their car to the Network during periods when they wouldn’t need it for personal use – such as during holidays, work trips or general down-time. Powered by new Samsung chips, Tesla’s latest version of autonomous driving software and hardware will, as Musk explained, “…be able to drive themselves anywhere on the planet, on any road and in any/all possible weather conditions without anyone watching over the controls.” This means that Tesla’s autonomous cars in theory, are not limited to specific environments or circumstances and should be able to travel anywhere a human-operated vehicle can (and maybe more). 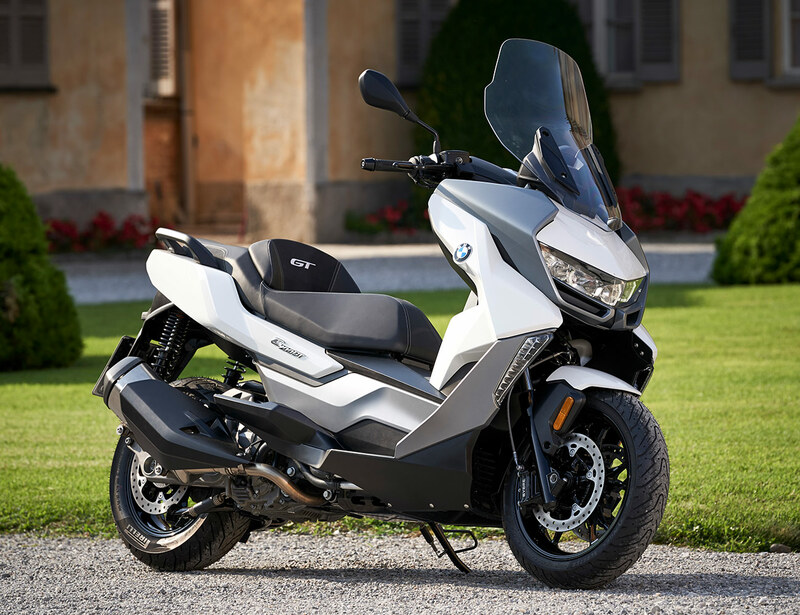 It also means, that drivers (or more accurately, riders) won’t have to pay attention to the road – ever again – should they choose to embrace full-autonomy. Fully self-driving vehicles, once and for all, plain and simple. The Tesla boss confidently iterated that there will be over 1-million self-driving taxis on the road when the service is rolled out. Elon Musk at it again; making certain that his inventions are as practical as they are unconventional. Celebrations for the half-century of the GT-R started late last year, and have continued throughout the current calendar year. Festivities have come in the form of various homages, the latest Nismo GT-R and most recently, the return of the infamous Bayside Blue colorway – not seen since 2002 – to the current GT-R lineup. While most would argue that ushering in a new generation of the GT-R would have been most serendipitous thing to do, this is still a very thoughtful gift from Nissan. For longer-term fans of the GT-R, Bayside Blue is unequivocally the most iconic, relatable and classic livery to represent the legendary car. 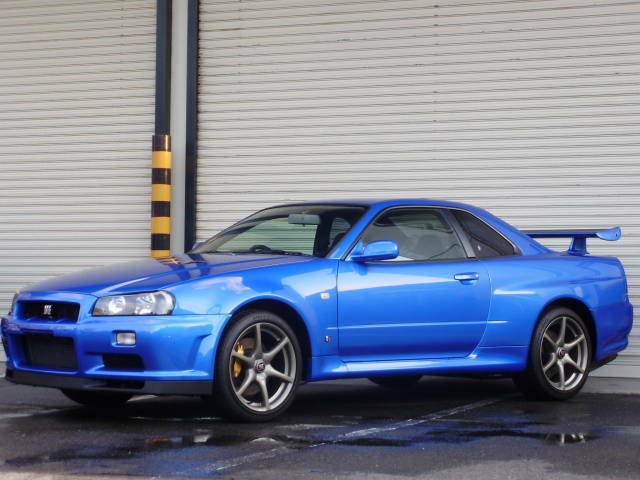 Regardless of one’s palate for hues and saturations, a Bayside Blue GT-R was the undisputed poster boy for the Nissan Skyline (and probably, for Nissan as a whole) in the early 2000s. At the mere mention of the name, ‘GT-R’, one would be hard pressed not to have a cornucopia of imagery flood their mind – from memories of countless hours spent playing Gran Turismo, or reminiscent recollections of the posters, screensavers or model cars that donned walls, computer screens and display cabinets respectively. And all of it of course, in Bayside Blue. 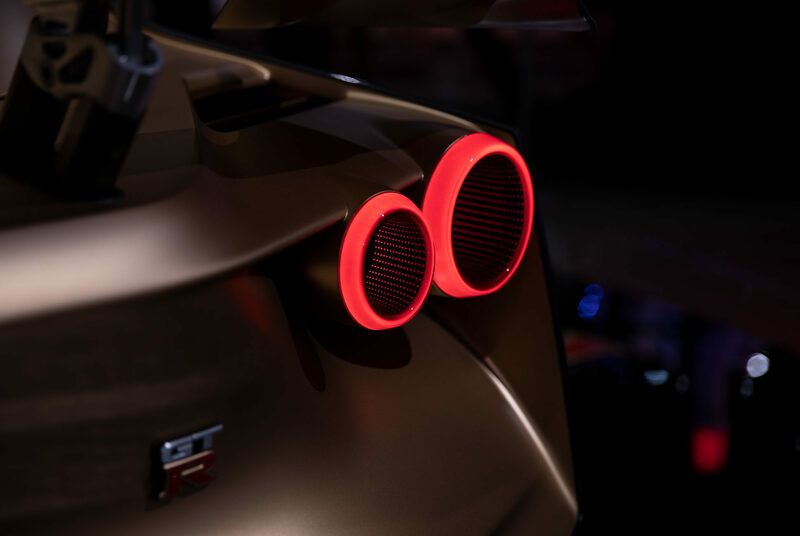 As has been the case for every year of the R35 GT-R, Nissan has made minor tweaks and performance improvements to the car, and 2020 will be no different in this regard. 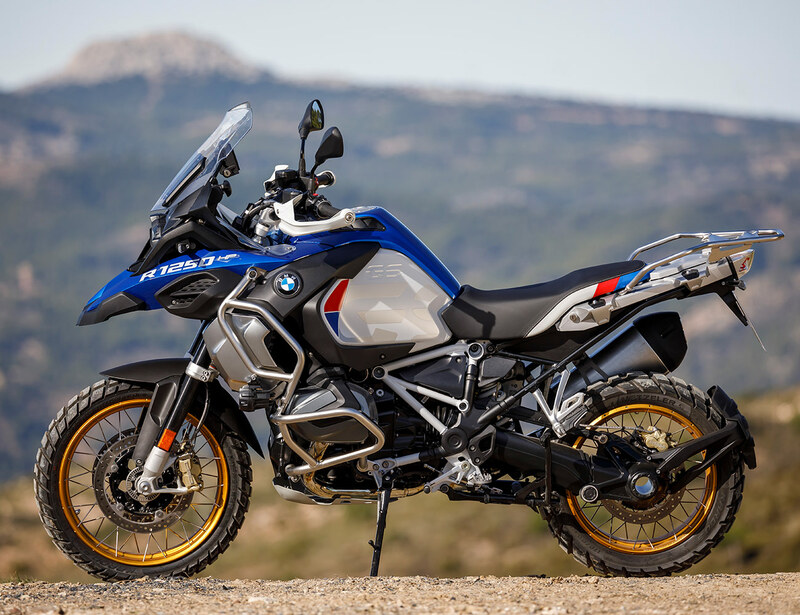 Such changes include new turbos which increase lower range responsiveness and a modified dual-clutch transmission that allows for quicker gear shifts. 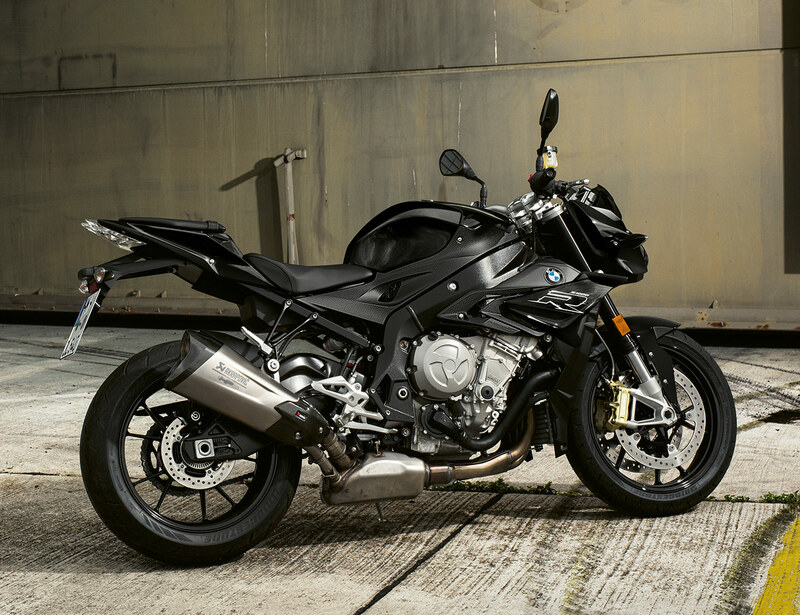 The suspension is also said to be the most refined its ever been, while the engine design is now more receptive to aftermarket tuning. To further commemorate the 50th anniversary of the GT-R, unique interior stitching, special Alcantara accents, one-off badging and a redesigned steering wheel add to the fanfare for 2020 models. While there is no official pricing information yet, we expect the 2020 models to be the most expensive GT-Rs to date (excluding the Nismo). Audi just showed its limited-edition R8 Decennium at the 2019 New York Auto Show, but a new report says the Audi R8 is not long for this world. In the midst of the German’s push toward electrification, Audi apparently has plans for an electric supercar that would replace said R8. The report from Car cites unnamed Ingolstadt sources, though, so do take it with a grain of salt. Obviously that doesn’t signal the end of the R8 as we know it, but it does show where Audi’s heads are at when it comes to electrifying its sporty vehicles. The report goes on to give a few details of what Audi will be working with on a potential electric supercar. To begin, a 0-62 mph time of just over 2 seconds is expected — Audi will need that to compete with other stupid-fast electric supercars. Then a 300-mile range is apparently being targeted, and all-wheel drive is essentially a given with an Audi. Upwards of 650 horsepower from three electric motors is also expected to be on tap. Some information that seems far less feasible is the use of solid-state batteries and wireless charging predicted for the car. 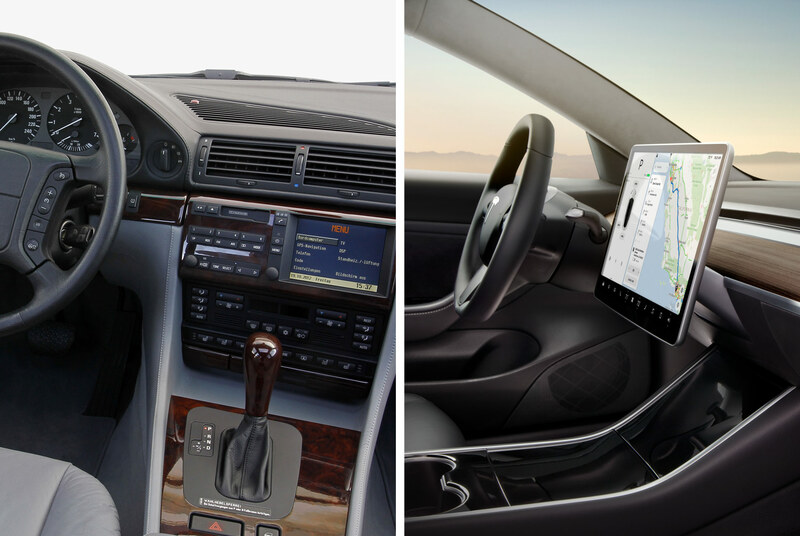 Putting these technologies to use on a production car still feels farfetched today, so we’ll believe it when we see it. This supercar isn’t terribly far away either — predicted for 2022 introduction — so Audi has a lot of work to do if those technologies were to be part of the roster. No surprises there. Of course, we’d be saddened to see the R8 as it is today leave the Audi lineup. The screaming V10 from Lamborghini gives this stunner a raucous personality at a good price point as far as supercars go. Hopefully we’ll learn more of Audi’s electric performance future soon, as it prepares to launch the E-Tron next month with the E-Tron Sportback and E-Tron GT to follow in the months to come. The Porsche 911 GT3 and GT3 RS are both amazing cars. On a racetrack, the GT3 RS is the obvious winner with more power and better aerodynamics, but what happens when you put them on the dragstrip? Is the RS really a faster car in a straight line? Well, the guys at the YouTube channel DragTimes decided to find out. The GT3 RS comes with a significant price hike over the GT3 and seeing the two cars race side by side will put into perspective what the speed difference is in a straight line. It’s worth thinking about if you’re looking at the GT3 or a GT3 RS. The jump of $40,000 from the GT3 to the GT3 RS is a notable one, and you’ll have to decide if it’s worth it. The video below can help you do that. While you might not be drag racing your Porsche, it’s a good way to see the difference between the cars. We won’t spoil the results for you, but we can say it’s definitely worth the watch. Watch it and then we’ll go over the results below the video. As you can see, these two cars are extremely evenly matched on the drag strip. Both drivers got good launches and had no issues during the several runs. This suggests that you might be better off saving the $40,000. If you frequent the racetrack, though, the GT3 RS’s upgrades will still make a big difference, though. Hitting 235 mph is no joke in any vehicle. While 235 mph might seem a lot less than the Ford GT that was clocked breaking the 300 mph mark, it’s still insanely fast. This Nissan GT-R makes it look absolutely easy, though. Just a nice leisurely drive on a sunny day to a freakishly fast speed. No big thing. No, it is a big thing. That’s wicked fast. This particular Nissan GT-R manages to hit that speed due to the fact that it’s been pretty heavily modified. The car still has its 3.8-liter twin-turbo V6 engine. However, that mill has been modified extensively. 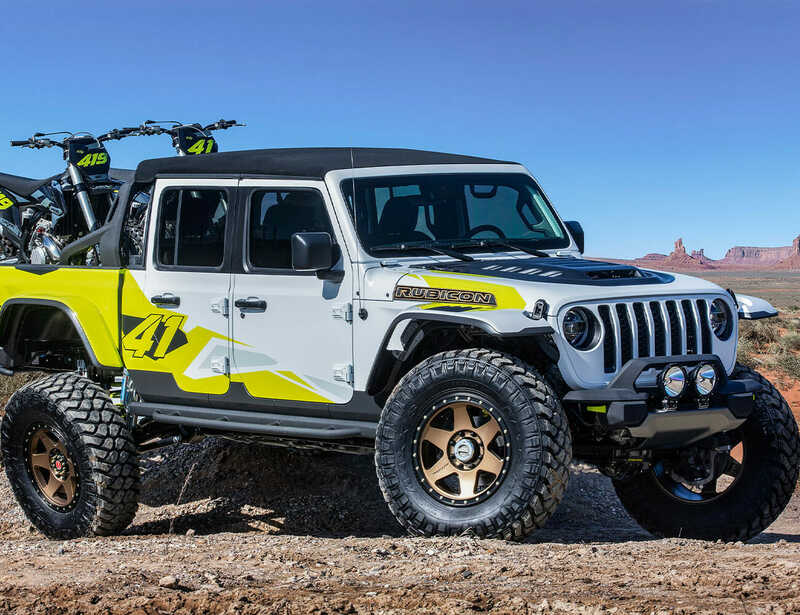 It now produces 1,100 hp and 850 lb-ft of torque measured at the wheels. As you can imagine, the result is noticeable. You can check out the car in action in the video below and see it reach the 235 mph top speed. The interesting thing is that the car looked and sounded like it had more to give. On a longer runway or track, it probably could have gone faster. Carscoops suggests it could possibly hit 250 mph. It’s clear that the driver held it at 235 for a little while and then let off the throttle to keep the car on the runway’s tarmac, but it did seem to have more to give. What’s so impressive about the video is how smooth the car looks doing the 235 mph run. It’s extremely undramatic. There’s nothing to worry about. You just watch the speedometer needle keep spinning. It’s insane and totally worth a watch. Earlier this week, BYD introduced the E-SEED GT, a concept car, at the Shanghai Auto Show. It is, as most things that had their moments in the spotlight at that event, an electric vehicle. There are a couple things to know about BYD, which is based on providing “zero emissions energy solutions,” some of which take the form of production vehicles like the Song Pro SUV and various electric sedans, as well as potential vehicles, like the E-SEED GT, which is said to be designed with the company’s new Dragon Face design language. One is that the company was founded in 1995 with 20 employees and today has some 240,000. It’s the world’s biggest maker of electric vehicles. That is a remarkable ramp by any measure. And the other is that the designers who were instrumental in the development of the E-SEED GT are Wolfgang Egger, BYD global design director; JuanMa Lopez, BYD global exterior design director, and Michele Jauch-Paganetti, BYD global interior design director. 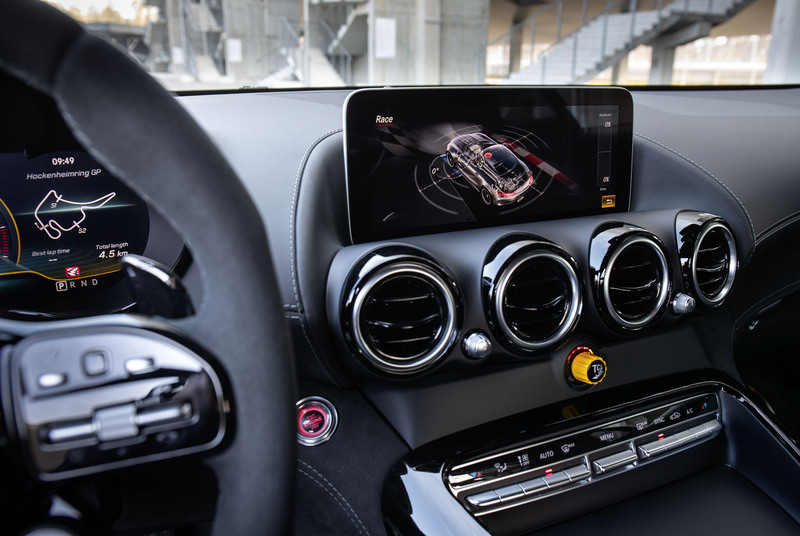 Egger had previously been the head of design at Audi, Lopez the head of exterior design at Ferrari, Jauch-Paganetti the design director at Mercedes-Benz Italia Advanced Design. 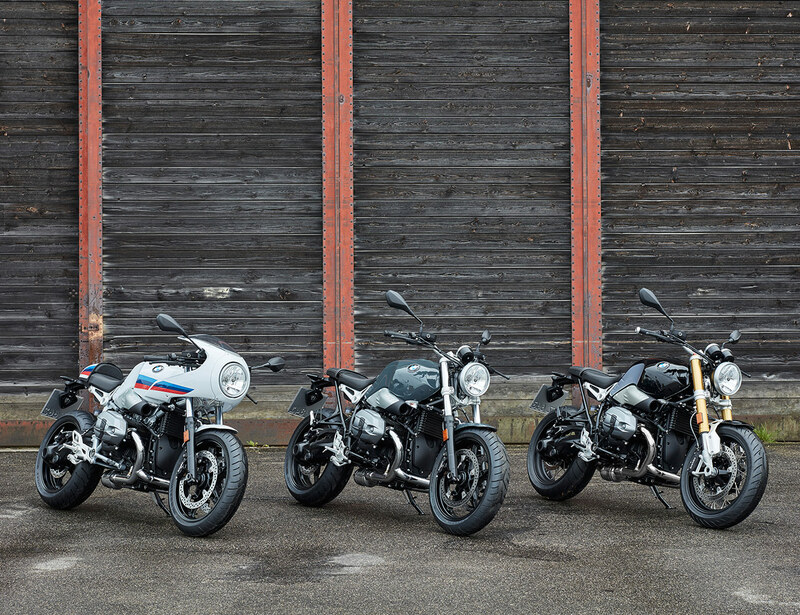 Arguably, something of a design dream team. 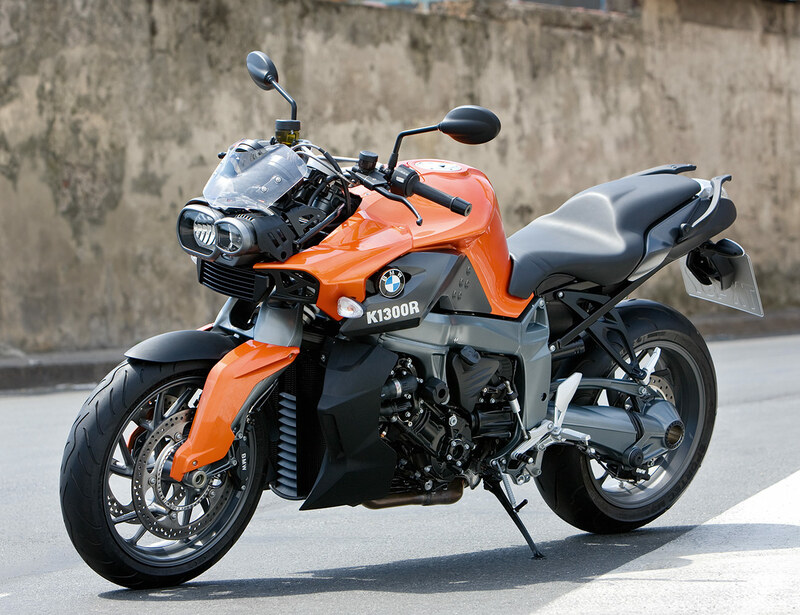 Which is to say that this company based in Guangzhou has both extensive resources and extensive talent. China has imposed what is called the New Energy Vehicle mandate that calls for the sales of 4.6 million electric vehicles by 2020. And going forward, presumably, there will be efforts to eliminate the internal combustion engine for “complete electrification” of the fleet. It is worth noting that for BYD, it isn’t all about curvaceous concepts. Also this week the company announced that it has delivered a BYD 8R Class 8 Automated Side Loader (ASL) to Waste Resources, which will use the truck in Carson, California. Yes, an electric garbage truck. Not all products that the company is involved with use the Dragon Face design language, nor are they all for the China market. In January, BYD announced the production of its 50,000th electric bus. Not only are these buses on the streets of Beijing, Guangzhou, Shenzhen, Tianjin, Hangzhou, Nanjing, Changsha and Xian, but also in London and Los Angeles. Buses and garbage trucks don’t get a whole lot of attention, but they represent tremendous markets for the companies that build them. Southern California transit agencies have awarded more than $330 million to BYD in contracts, grants and subsidies to provide buses and other electric vehicles, but the Times investigation found that the vehicles were plagued by mechanical breakdowns, required far more service than the diesel buses they were replacing, and that their range performance in Los Angeles, instead of 155 miles per charge as promised, was averaging under 50 miles most months. Range shortfalls were not as severe in other Southern California municipalities but were still dozens of miles worse than what was promised. Solano County, Calif., noted the buses had difficulty climbing hills and had to reassign them to flat routes. The LAT reporting found similar problems with BYD buses in other cities such as Columbia, Mo., and Albuquerque, where buses experienced a host of issues including cracked frames. In November, Albuquerque demanded BYD take back 15 buses and sued the company, declaring the buses unsafe. Walking through the 2019 New York International Auto Show can be overwhelming. With all the shiny sheet metal on display—some of it for the first time—it’s easy to lose yourself in all of the big news and announcements. But, if you take some time and keep your eyes peeled, you’ll see there are a lot of beautiful design details peppered throughout the show’s attractions that you might have missed otherwise. 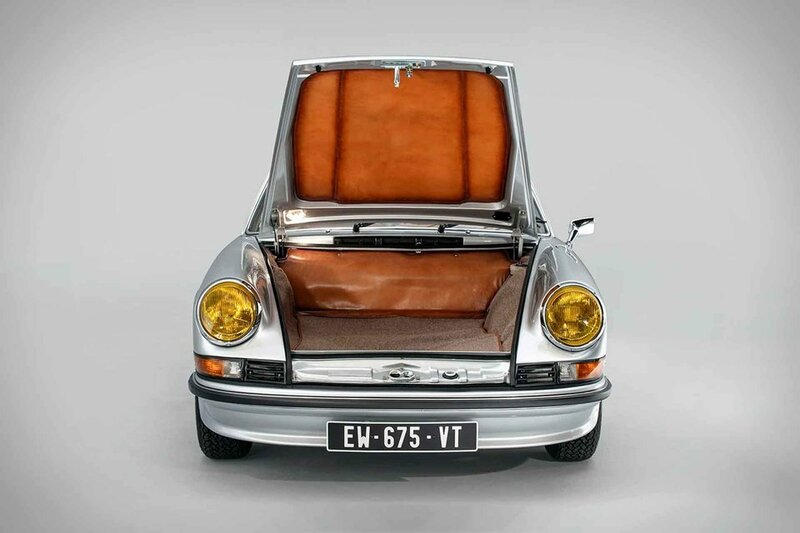 Yes, concept cars will have bucket loads of futuristic moldings and supercars are packed with aerodynamic facets, but even something as mundane as a family sedan can hide an interesting quirk or two. So, in case you missed them, these are the most beautiful details hidden throughout the cars at NYIAS 2019. Acura deserves a huge amount of credit for the bold design choices it’s made over the past few years. Acura’s design language is polarizing, to say the least, but if you look closely, you’ll spot intricacies that deserve appreciation. 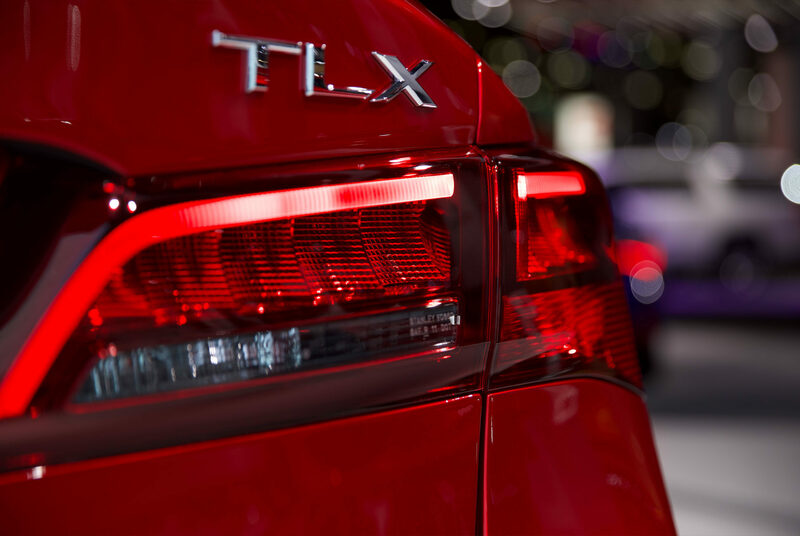 The taillights on the TLX are one of them: They mirror the car’s headlights, making what could’ve been a run-of-the-mill tail lamp into a delightfully complex display. 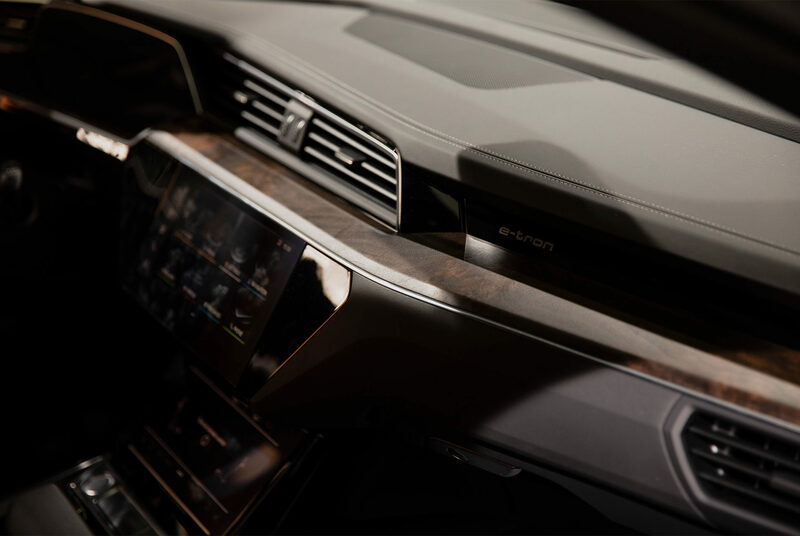 Open-pore wood isn’t anything new as far as car interiors go, but the Audi E-Tron pulls it off brilliantly. The all-electric SUV is a vision of the future for Audi, and the designers could have gone the usual clinical design route for such things, but it’s nice to see organic material in there instead; it nicely complements the future-forward E-Tron. There are a lot of details to fawn over on the Genesis Mint concept car, but if one stands out above the rest, it’s the seats. If they look askew in the photo, that’s because when you open the door, they automatically slide back and rotate for easier ingress and egress. And it might only be a concept car for now, but Genesis brand boss Manfred Fitzgerald says he wants to see something like the Mint on the road in the near future. 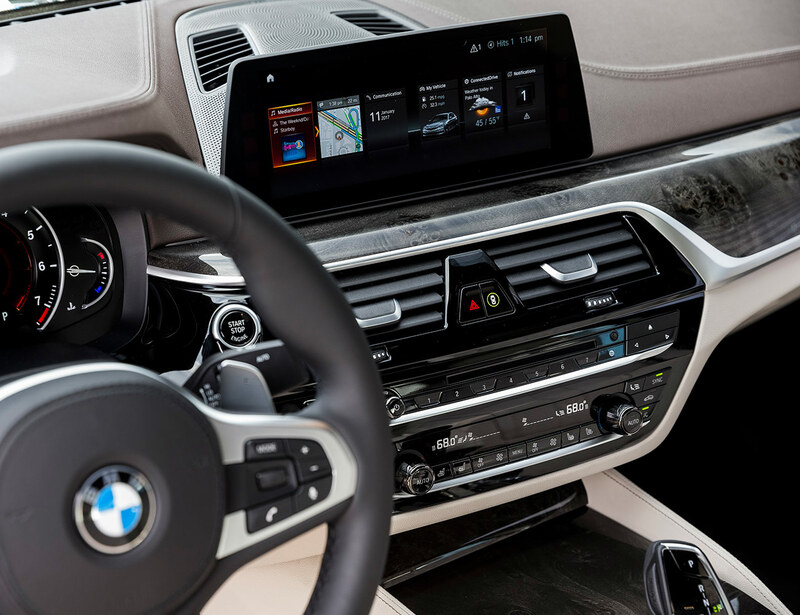 When autonomous driving takes operational responsibility away from the passengers, the experience of driving as a whole will shift; there will more time to appreciate and interact with the interior, for one thing. Designers are starting to cater to that in concept cars like this funky Kia, by pouring more energy into details like seats and dashboard design. The Kia HabaNiro might look like the crossover of tomorrow on the outside, but the not-so-subtle crimson flair on the inside would be a welcome addition to the Korean automaker’s lineup. The Koenigsegg Jesko’s rear wing isn’t exactly a “hidden detail,” seeing as how it’s one of the largest objects on the show floor. It helps the Jesko achieve 2,200 pounds of downforce when deployed, but can level out to reduce drag and let the Swedish supercar hit its supposed 300-mph top speed. Lincoln is quickly becoming a powerhouse in the American luxury car market. 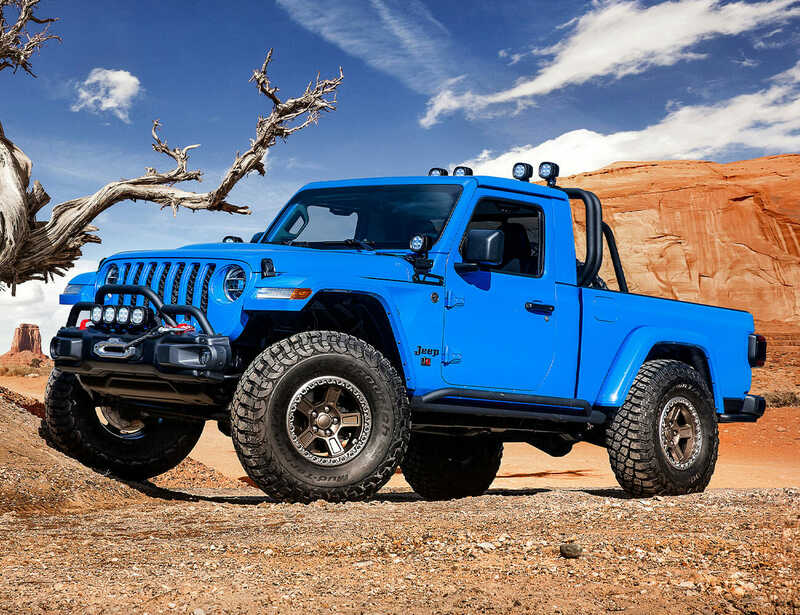 It’s very rare an automaker adopts a design language which works on all of its cars, no matter the body style. The Corsair can easily be described as a mini-Navigator, but it also has its own unique details worth a mention. The taillights, for instance, look like the full-width setup Lincoln has applied elsewhere; move in closer and the design begins to resemble a stylized eagle’s wing. You’ve probably seen the Nissan GT-R50 by now, and drooled over as much as everybody else has. 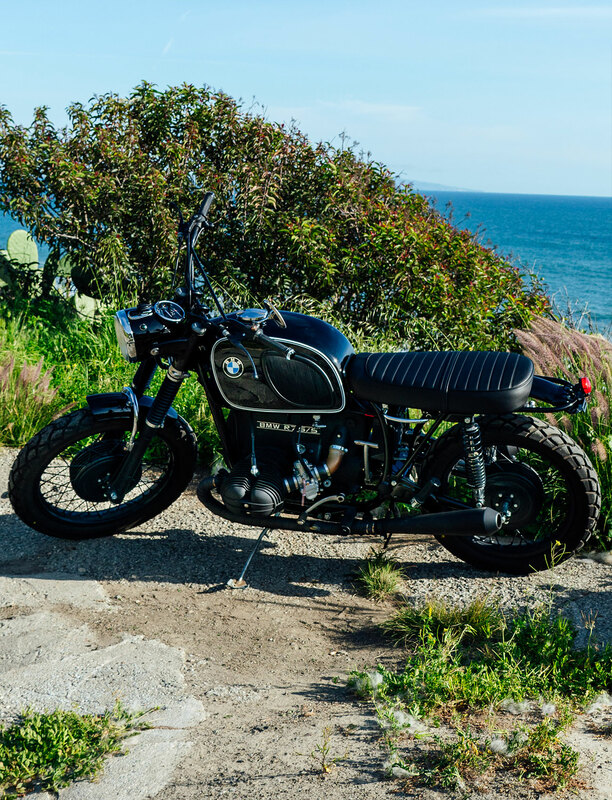 (Just ignore the $1.1 million price tag.) 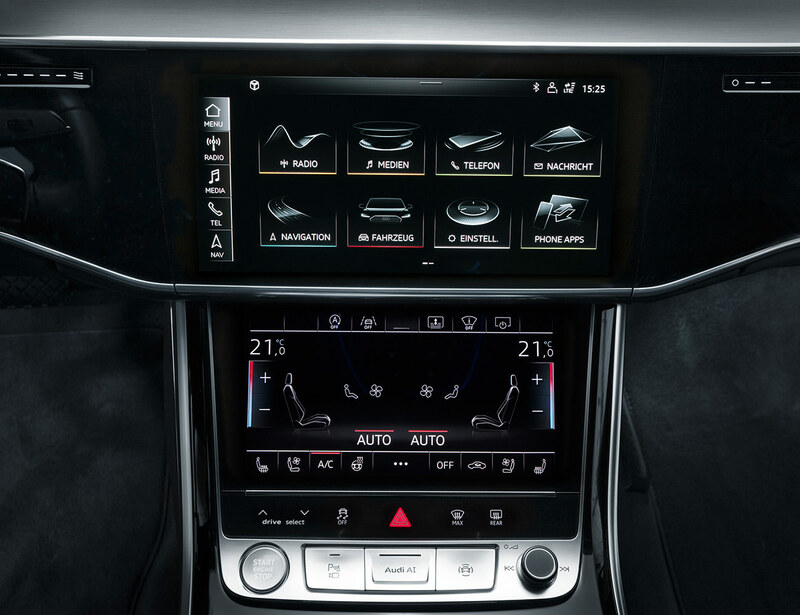 The car was a chance for Italdesign to flex its creative muscles, so it’s packed with design touches. 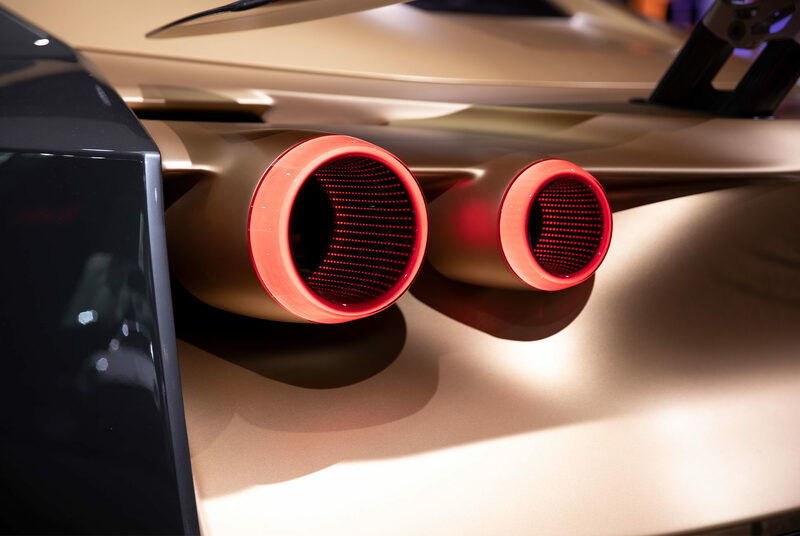 Walk around the back, and you’ll see the semi-floating tail lights that look like jet engines; they compliment the moveable rear wing with its aircraft-like actuators. 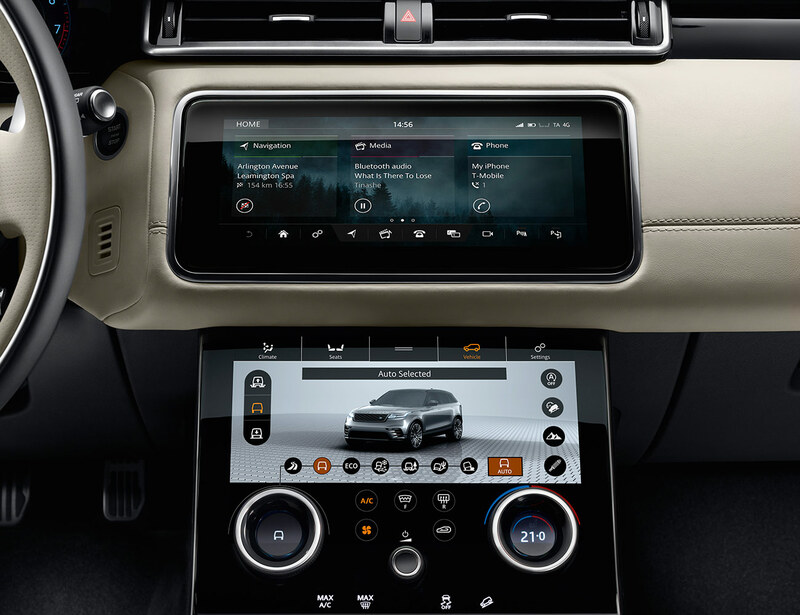 Range Rover has been moving towards minimalism for a while, but the new Velar SVAutobiography Dynamic highlights how far the company’s interiors have come—and how well they’re executed. Acura deserves a huge amount of credit for the bold design choices it’s made over the past few years. 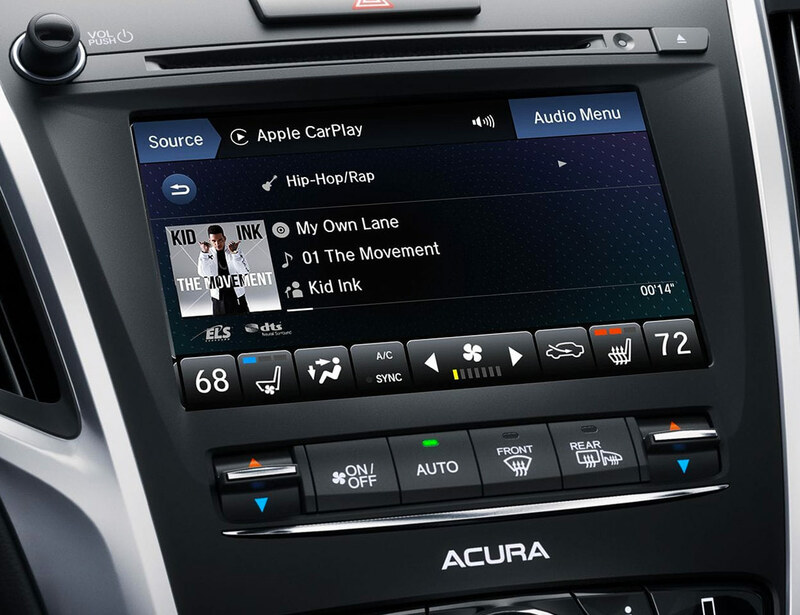 Acura’s design language is polarizing, to say the least, but if you look closely, you’ll spot intricacies that deserve appreciation. 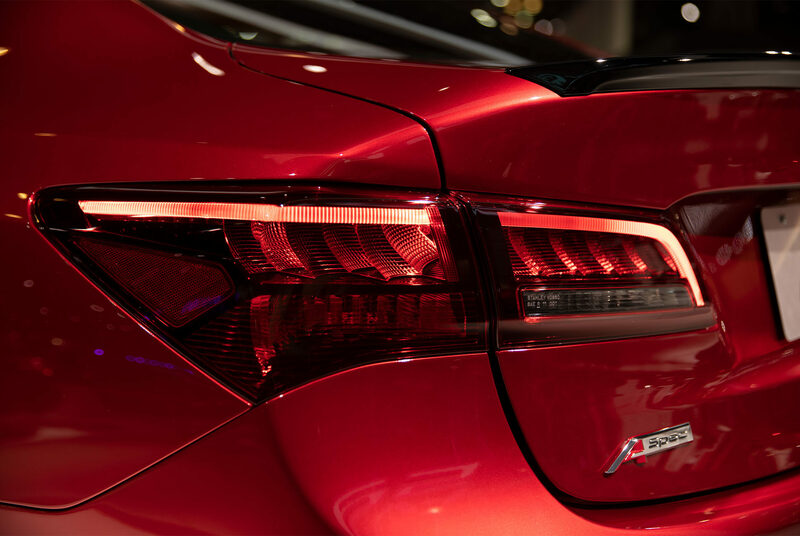 The taillights on the new TLX are one of them: They mirror the car’s headlights, making what could’ve been a run-of-the-mill tail lamp into a delightfully complex display. 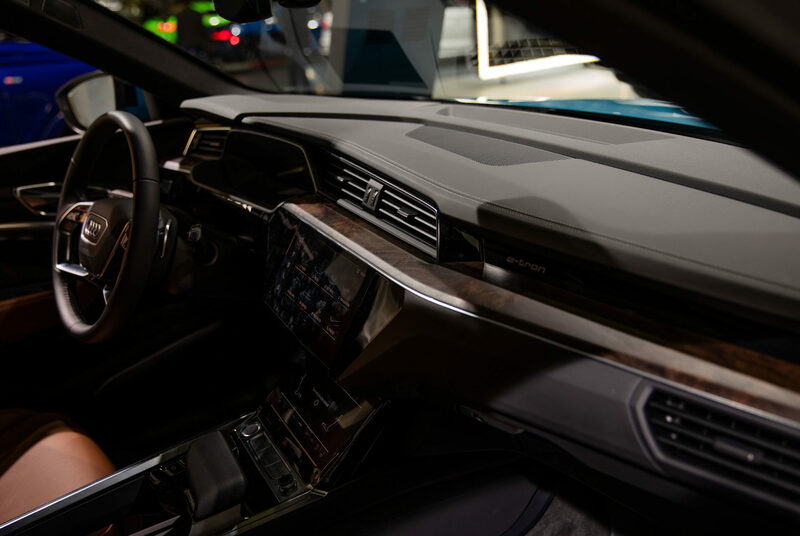 Open-pore wood isn’t anything new as far as car interiors go, but the Audi E-Tron pulls it off brilliantly. The all-electric SUV is a vision of the future for Audi, and the designers could have gone the digital and clinical route, but it’s nice to see the soft, organic material nicely complement the future-forward E-Tron. There are a lot of details to fawn over on the Genesis Mint concept car, but if one stands out above the rest, it’s the front seats. If they look askew in the photo, that’s because when you open the door, they automatically slide back and rotate for easier ingress and egress. And it might only be a concept car, but Genesis brand boss Manfred Fitzgerald says he desperately wants to see something like the Mint on the road in the near future. With autonomous driving taking more operation responsibility away from the driver, the experience of driving as a whole is on the verge of a paradigm shift. 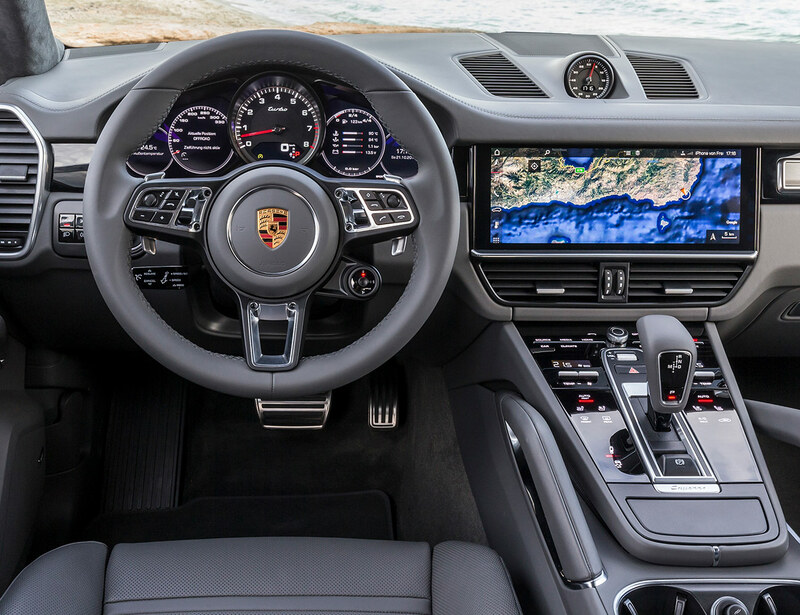 There will more time to appreciate and interact with the interior, so designers are starting to cater to that by pouring more energy into details like seat and dashboard design. The Kia Habanero might look like the crossover of tomorrow on the outside, but the not-so-subtle mid-century flair on the inside would be a welcomed addition to the Korean automaker’s lineup. The Koenigsegg Jesko’s rear wing isn’t exactly a “hidden detail,” seeing as how it’s one of if not the largest objects on the show floor, it’s hard to miss. It helps the Jesko achieve 2,200 pounds of downforce when deployed but can level out to reduce drag and let the Norwegian supercar hit its supposed 300 mph top speed. 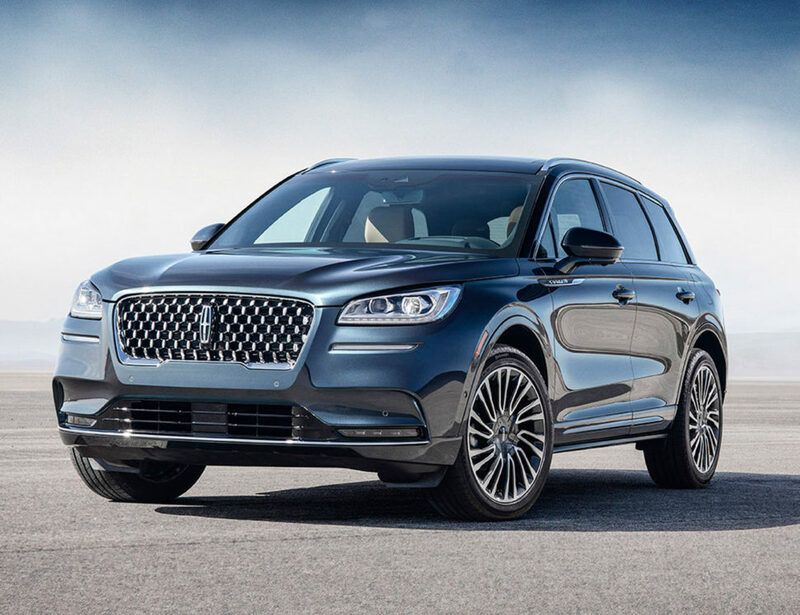 Lincoln is quickly becoming a powerhouse in the American Luxury market. 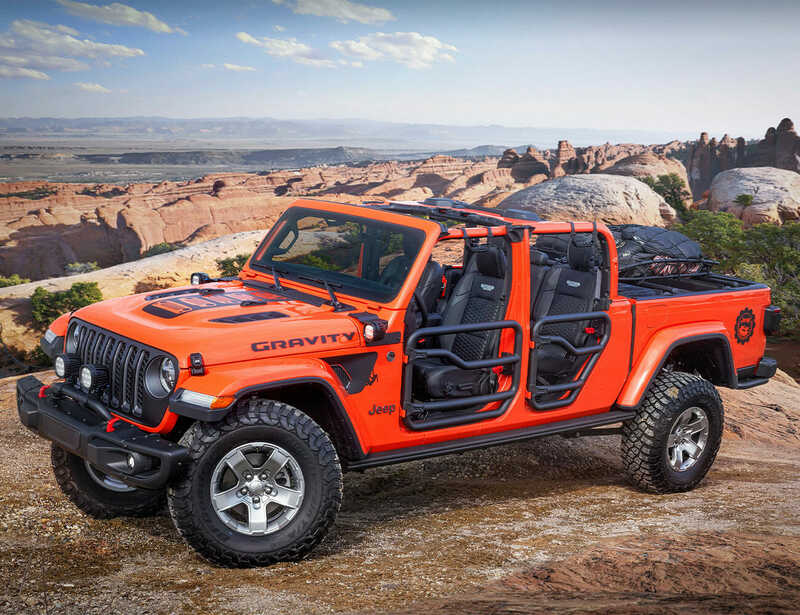 It’s very rare an automaker adopts a design language which works on all of its cars, no matter the body style. The Nautilus can easily be described as mini-Navigator, but it has its own unique details worth a mention. The tail lights, for instance, look like the full-width setup Lincoln has applied elsewhere but move in closer and the design takes on a sort of stylized eagles wing. You’ve probably seen the Nissan GT-R50 by now and drooled over as much as everybody else has (just ignore the $1.1 million price tag) because it was a chance for Italdesign to flex its creative muscles. Walk around the back, and you’ll see the semi-floating tail lights which look like jet engines, so they compliment the moveable rear wing with aircraft-like actuators. Range Rover has been moving towards this level of minimalism for a while, but the new Velar SVAutobiography Dynamic highlights how far Range Rover interiors have come and how well they’re executed. The Bugatti Divo was sold out before it was even introduced to the public in Monterey last year, but it looks as though there’s still work to be done. Normally we wouldn’t care to share much about some random vehicle’s hot weather testing, but the Divo is no regular vehicle. Julia Lemke, a Bugatti development engineer, was the lucky individual performing most of the tests. And the job sounds rather fun. Bugatti says it spent “hours and hours” at 155 mph running around in the hot desert. We’d link to a job application, but we have a feeling that openings are scarce in Molsheim. Sorry, folks. They didn’t expose their secret test location, but temperatures rose above 104 degrees Fahrenheit. One could say they were, whipping it good. It all serves as a fun reminder about the lengths manufacturers go to test their car’s mettle to make sure they don’t let you down in extreme conditions. The standards for a car that can reach 236 mph (Divo’s top speed) and pull 1.6 g on a skidpad tend to be more than a bit higher than the average bear, too. Running for countless hours at over 155 mph isn’t a likely scenario that anyone would find themselves in, save the German autobahn. But, rest assured that the $5.62 million Bugatti “for the bends” is ready for it. There are a bunch of new photos to give you another look of the French hypercar, so take a spin through those to see a little behind-the-scenes Bugatti testing action. It looks stunning in the stealth black we’ve seen pictured before, and the interior is a gorgeous display of materials. Bugatti appears to have fitted some aftermarket Sparco seats for the field testing, too. How Much Does the Horsepower Matter? The BMW M5 Competition Pack is a seriously fast car. It has 616 hp and is a true sports sedan. So, there’s no need for more power, right? Wrong. The BMW M5 DMS ups the ante to 774 hp. That’s about a 160 hp bump up, and that’s quite a lot. It’s enough to feel the difference, but what does that look like in terms of straight line speed? Well, Rory Reid of Top Gear decided to find out. He took the two cars to an airfield in the UK and decided to set up a little drag race to see how much faster the DMS version of the M5 really is. We won’t spoil the results. We’ll let you watch the video of the cars doing their thing below. Now that you’ve seen the video, you can see how much of a difference it makes. Honestly, it’s a notable impact, but if you’re planning on using the car primarily as an everyday car, then we’re not sure the extra $3,000 for the DMS version of the M5 is worth it. There’s a lot of things to love about the M5 Competition Pack, and 160 hp bump for $3,000 isn’t enough to make us think it’s worth it. Still, if you want the fastest M5 on the road, it’s clear which car you should buy. They’re breeding like Tribbles on the starship Enterprise. They’re blowing up like no other vehicle category on the planet. 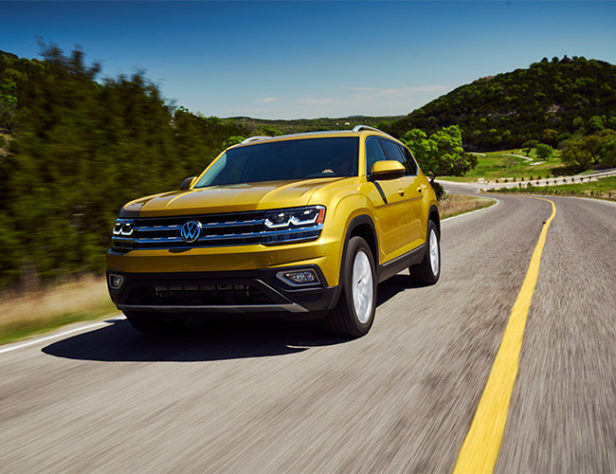 They’re compact crossovers, and the New York International Auto Show is chin-deep in the latest specimens. For novelty’s sake—or maybe the planet’s—the new crop of high-riding sorta-hatchback models included some intriguing electric vehicles. 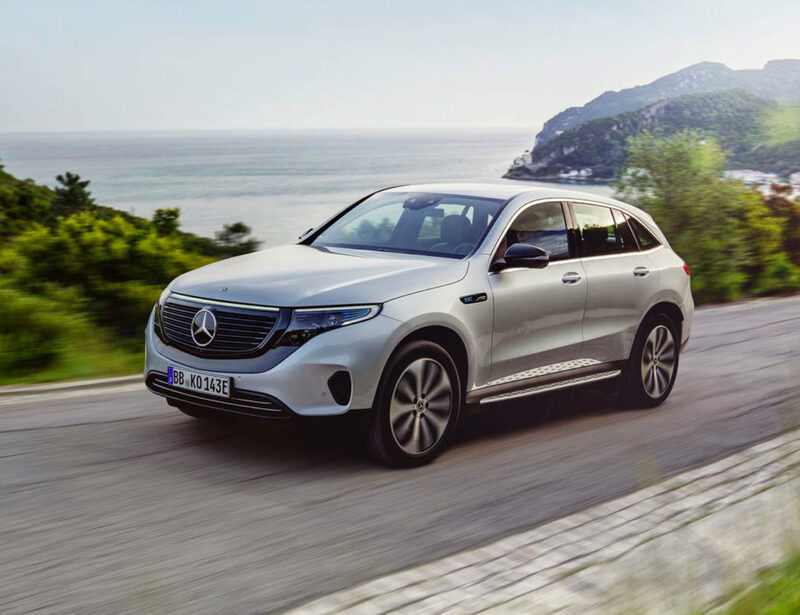 Mercedes-Benz promised that its gussied-up EQC Edition 1886 will reach showrooms by 2020, alongside the standard EQC that is the first fruit of Benz’s “EQ” sub- brand. A sizable 80-kWh battery tucks below the eggshell-smooth body, with a pair of asynchronous electric motors, all-wheel-drive and a promised range of 293 miles…or less, if drivers liberally apply the EQC’s 402 horsepower and 564 pound-feet of torque that make it good for a claimed 4.9-second sprint from 0 to 60 mph. 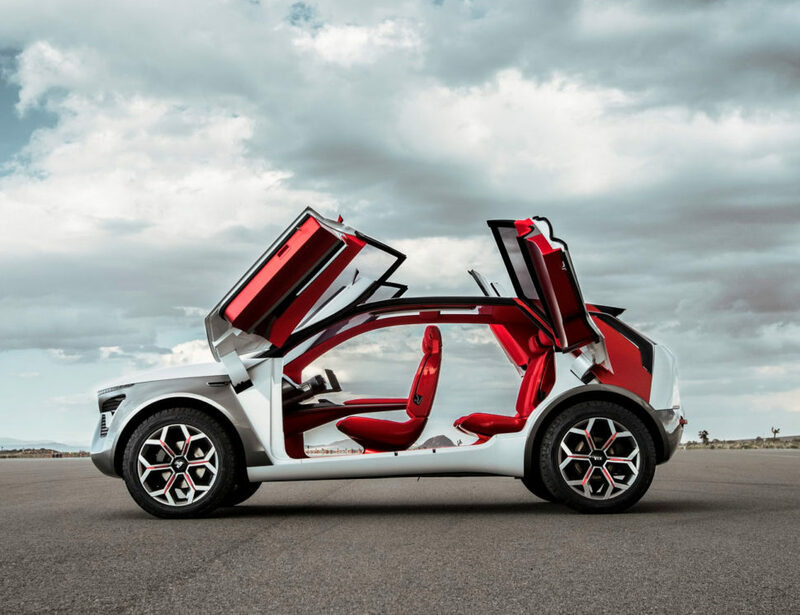 The painfully punny Kia HabaNiro cranked up the Scoville scale with an out-there electric concept: an industrial-mawed crossover EV with four butterfly doors, as well as artificial intelligence to monitor and adjust the interior according to its driver’s mood. Kia envisions the HabaNiro offering enough self-driving capability to let occupants watch movies projected on a head-up display that spans the entire windshield, thus making it very clear this is a concept car. 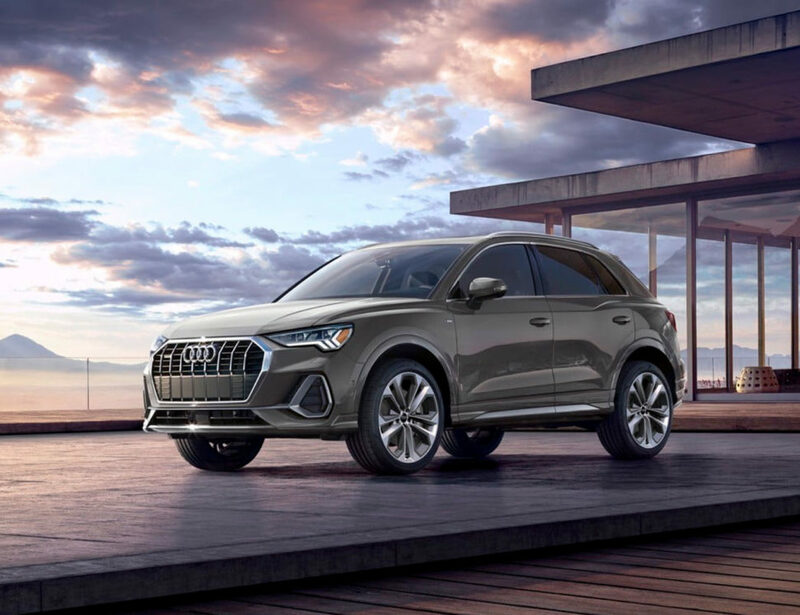 In contrast to those EV sizzlers, Audi’s redesigned 2020 Q3 made a relatively quiet debut, even if it exponentially more Americans will actually buy the Audi. And compared with its underwhelming predecessor, this Q3 may actually be worth buying, offering everything from Audi’s Virtual Cockpit display to a jumped-up 2.0-liter turbo four with 228 horsepower and 258 pound-feet of torque. The Q3 reaches showrooms in summer, at a price of $35,695 to start. Ford’s luxury car division debuted its third new SUV in as many New York Auto Shows in the form of the compact 2020 Lincoln Corsair. 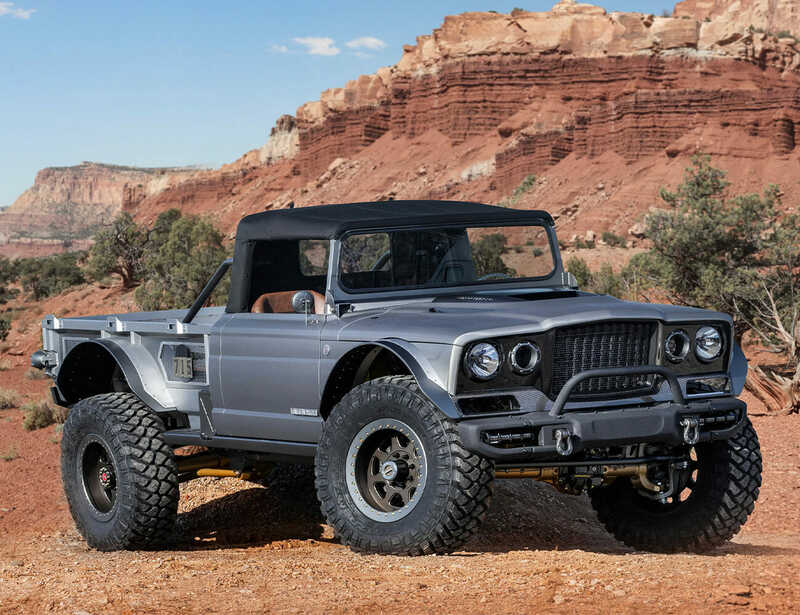 Sharing a modular platform with the latest Ford Escape, the new Corsair bucked one all-too-common small crossover trend: It just wants to be stylish, comfy and luxurious, with a refreshing lack of claims-to-sportiness that end up being broken promises in so many SUVs. In an update from the Too Little, Too Late Department, Mazda dropped its serially-delayed Skyactiv-D diesel engine into the otherwise excellent CX-5 crossover. Inexplicably, the diesel makes less horsepower and torque than the CX5’s optional, 2.5-liter turbo four—168 horses and 290 pound-feet, versus the 2.5’s respective 250 and 310. More inexplicably, at 28 mpg combined, the 2.2-liter diesel delivers a negligible 2-mpg gain over the basic gasoline-powered CX-5. 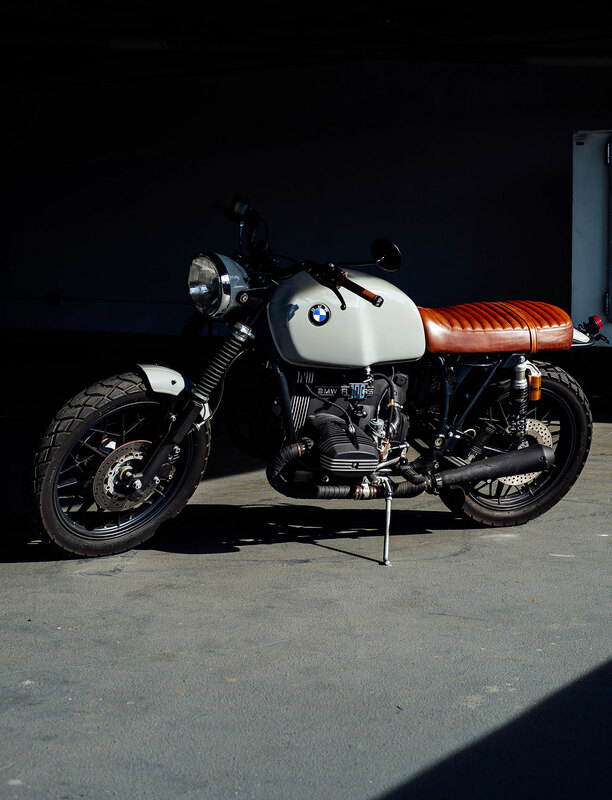 Of course, the show wasn’t just smallish crossovers; companies up and down the Javits Center also rolled out lower-riding vehicles, from the show-stopping Porsche 911 Speedster to the Genesis Mint concept. Hyundai was among the automakers putting a brave face on the waning family sedan category in New York, showing its dazzler of a 2020 Sonata and reminding us that Americans are still buying 5 million traditional cars each year. “While some automakers have lost interest in these buyers, we haven’t,” said Brian Smith, chief operating officer of Hyundai’s American arm. (Hint: Smith is referring to the geniuses running Ford and Fiat Chrysler, who are largely abandoning traditional cars in the hope that every last American can be talked into a pickup or SUV.) And the Alabama-built Sonata looks like a home run, from its swoopy, expressive body and daring lighting signatures to leading-edge technology like a smartphone-based virtual key that can manage locking/unlocking, remote starting, and myriad presets for multiple users. Yet even Hyundai couldn’t resist unveiling another crossover SUV, giving it a total of six on sale by the end of 2019. The Hyundai Venue is a funky, cocktail-weenie-sized urban runabouts, and executives quietly promised it will start from less than $20,000 when it goes on sale by year’s end. Measuring 5.1 inches shorter than a Hyundai Kona, the Venue is tiny, but surprisingly substantial looking, and you can even have a six-speed manual transmission. Stick shifts in SUVs? Now there’s a crossover trend that’s easy to get behind. It’s easy to tell that Top Gear’s Chris Harris absolutely loves the McLaren 720S. He likes it better than the McLaren Senna and makes the case that it’s the supercar you should buy. He even says the 720S is “like my comfort food of supercars.” Recently, the Top Gear present managed to get a McLaren 720S with the new Track Pack installed on it. What did he do? He took it to a racetrack, specifically the Autodromo Do Algarve in Portugal. While Chris Harris seems absolutely infatuated with the 720S, he was obviously less than impressed with the Track Pack’s additions to the car. 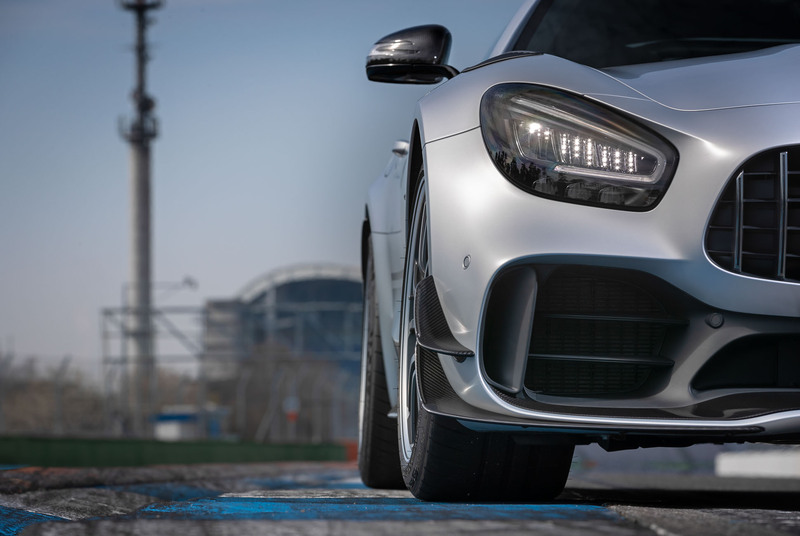 He said, “The dynamic impression is nothing like the Manthey kit on the [Porsche] GT2RS.” Instead of opting for the Track Pack and the extra goodies found on the track car Harris drives in the video below, he says you’re much better off buying a standard 720S that’s “nearly new” and saving yourself a lot of money. We have to agree with him. The Track Pack alone costs nearly £28,360 ($37,000), according to the video. That’s a lot of money. You could buy a whole other car for that amount. It obviously won’t be a supercar, but it could be your practical everyday car and then you have the 720S for the weekend. Just a thought. At the 1959 24 Hours of Le Mans, Aston Martin’s vehicles in the race managed a 1-2 finish. To honor that epic finish, the company built the Aston Martin DBS 59. The car is based on the DBS Superleggera. It gets Aston Martin’s Racing Green color scheme, special bronze touches across the car, a bespoke grille, 21-inch Y-spoke wheels, and an individually numbered roundel on the front fender. The news recently came out that the car will enter production soon. Aston Martin will build the vehicle at its global manufacturing facility in Gaydon, UK, according to Carscoops. In total, the company will build 24 of the BDS 59. “Each car represents one hour of this iconic victory in Aston Martin’s history, in which Roy Salvadori and Caroll Shelby took the chequered flag ahead of the sister car piloted by Maurice Trintignant and Paul Frere,” the company said. The car is designed to pay homage to the DBR1 that competed in the race 60 years ago. 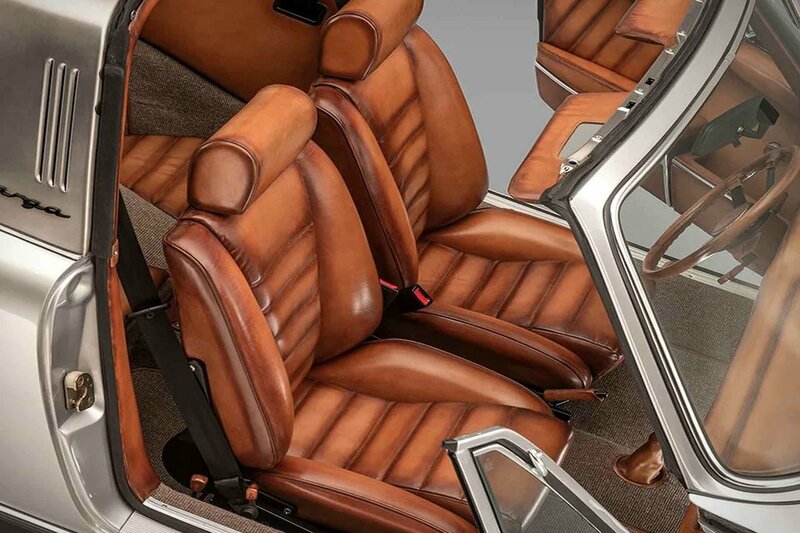 Aston Martin even managed to analyze the interior upholstery of the DBR1 to recreate it in the new car. This includes the leather on the seats and the embroidery on the sun visor. 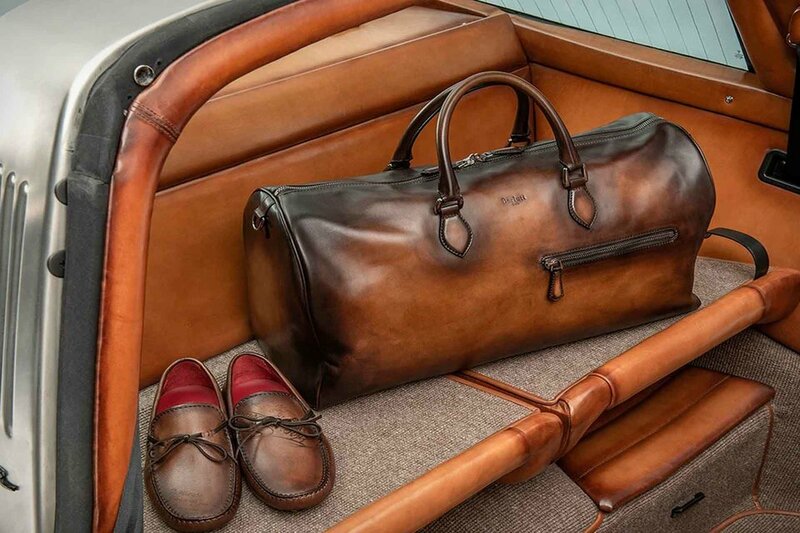 The entire interior is a gorgeous display of what Aston is capable of with large swaths of black and tan leather. 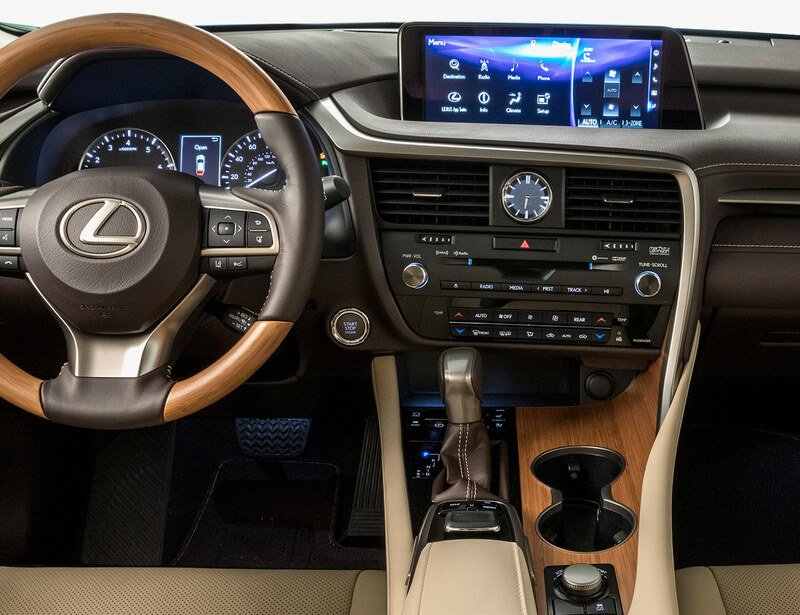 It’s safe to say the interior of the car is just as beautiful as the exterior.